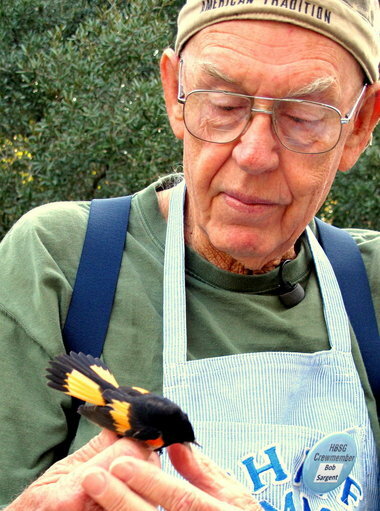 30 years of bird banding by Alabama couple has changed our understanding of migration | al.com: For more than 20 years, Sargent, his wife Martha, and a gypsy caravan’s worth of volunteer bird lovers have gathered in this place to band as many migrating birds as possible each spring and fall. The couple created non-profit Hummer/Bird Study Group to finance their efforts. The data they’ve collected from the hundreds of thousands of birds they’ve banded has changed the scientific understanding of annual migrations. They’ve proven that Alabama was home to seven hummingbird species instead of one, and shown that species once believed to be restricted to the coldest parts of the nation are regular visitors to the south. All in all, it makes for an impressive body of scientific work for a pair of retired electricians like the Sargents.